Inspiring stories and wisdom for surmounting difficulty, from the Lakota tradition. Difficulties are a part of life, but so is the wisdom that helps us overcome them. 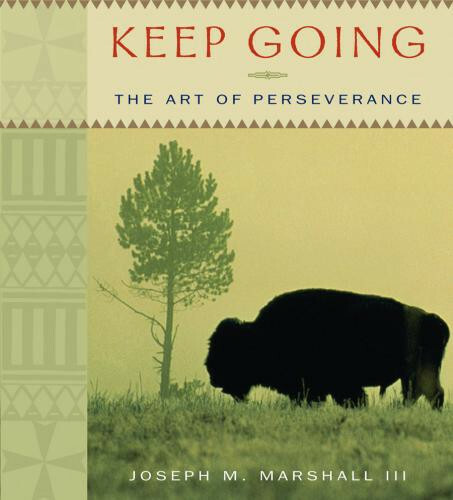 On Keep Going, Lakota elder and award-winning storyteller Joseph M. Marshall III offers the unique perspective of his people to remind us that the most important and enduring lessons come through the power of perseverance. In this original author adaptation, Marshall shares with heartwarming understanding and moving insight stories that stretch back across generations through the Lakota oral tradition. Whether you're currently involved in a challenging situation or simply in need of a voice of encouragement, Keep Going will inspire each and every step along the path ahead of you.